A Welcome from Dean Solt: Meet CEI`s inaugural cohort! Working in all areas of artistic practice and scholarship, from theater, music, and dance to film, digital arts, new media and games, the undergraduate and graduate students in the Arts Division are as diverse as the courses we offer. With its top-ranked programs and world-class faculty of practicing artists and scholars, celebrated tradition of non-traditional thinking, ethos of innovation, and dedication to environmental and social causes, the UC Santa Cruz Arts Division, like the campus itself, stands apart. Adding to the Arts Division’s distinction is our unwavering commitment to underserved populations and our belief that all students, regardless of their degree level, should be afforded rich opportunities to engage in interdisciplinary and extra-disciplinary work that goes beyond traditional arts training. Aligning with the division’s ethos and my commitment to promote student engagement and success strategies to increase academic success for artists and scholars who will shape the culture of the 21st century, I created the Office of Student Opportunity, Success, and Equity in the Arts Division. We are excited to be the first academic division on campus to create an office dedicated to recruiting, retaining, and launching our students into their careers, while also creating a student equity-focused environment. As part of my vision for this office, we launched Artist21’s Creative Entrepreneurship Internship (CEI) Program. innovation and entrepreneurial development for local and regional economic impact. In short, their highly sought after creative capacity – is in high demand. As such, these internships will create a much-needed diversity pipeline to augment the creative work force throughout California. 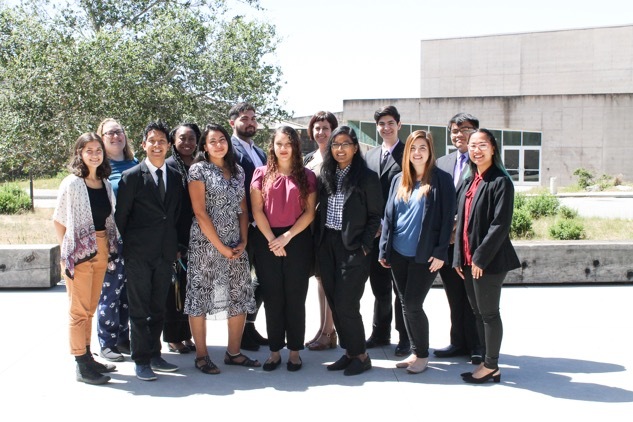 Our first set of internship partners include an exciting and broad roster -- Lionsgate, Sony Pictures, the games company Funomena, San Jose Museum of Art, Chronicle Books, Nirveda Cognition, ITVS, Museo Eduardo Carrillo, Indexical, KQED, and Santa Cruz’s own MAH. These off-campus opportunities, along with on-campus mentorships, serve a twofold purpose: they expose students to a wide-array of potential careers and provide them with the crucial support needed to incubate their own creative visions. While some critics worry that the UC Santa Cruz Arts creative entrepreneurship initiative Artist21 is a capitulation to commercial market forces, I as dean view it as an aggressive response to the marginalization of arts and artists in today’s world. Moreover, it represents a long overdue reshaping and reimagining of university-level arts education—an education that is failing to prepare students for the challenges and opportunities of the 21st century. As the commercial creative sectors grow in importance in the economy, the role of arts and culture as an incubator of talent will be increasingly recognized. And while I acknowledge and even celebrate the very important role that the creative industries play in the economy, I vehemently assert that we must never lose sight of art’s unique intrinsic value. A value that includes the reflection and shaping of our national character and our individual selves. Therefore, it is of paramount importance to keep in mind that creative entrepreneurialism does not define the artist, it frees the artist; there is really nothing to fear here. Through advocating for the arts, and by asserting their own worth as artists, the next generation can help ensure that the arts not only survive but thrive into the future. Please help me welcome the inaugural 2018 CEI cohort!